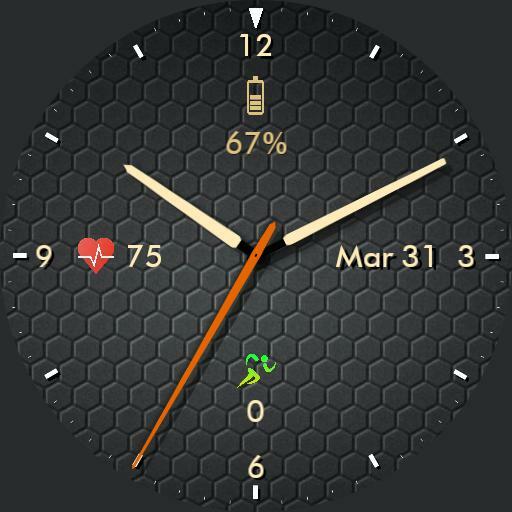 A simple watchface readable at a glance illuminated or dimmed. Built almost entirely out of stock Watchmaker parts. The background is a hex grid Ive been using off and on for my phone background for many years, no idea at this point where it came from. My first watchface.